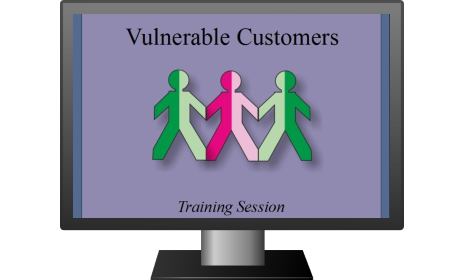 Vulnerable Customers is a well-known concept; however, there is no specific definition when it comes to dealing with people who could be classed as vulnerable and for that reason it is easy for employees and business practices to overlook those in need of extra support. Ensuring you can identify who is vulnerable and knowing how to provide a better service for these people is paramount in most industries, but especially so for debt collection, insurers, credit providers and financial service providers. Understanding what is classed as a vulnerability and knowing how to alter engagement methods to accommodate these needs should be one of the core principles of your organisation. The KYC vulnerable customers campaign sets include posters, screensavers, desk cards and stickers to ensure key principles are on your employees minds and embedded within your processes every step of the way.